This is the final reminder about the Back to the Classics Challenge -- and a deadline extension! It looks like some people have been trouble leaving comments on my blog. I had set comment moderation for posts older than 60 days, due to spam, yet, some folks are still having trouble. I have temporarily turned off Comment Moderation. (I blame Google Plus; if anyone can enlighten me, I'll be very grateful.) I did say that readers who don't have their own blog could leave a wrap-up list in the comments and still qualify. Therefore, if you do not have a blog and still want to participate, please remember you can also e-mail me via karenlibrarian13 [at] yahoo [dot] com with your wrap-up post (please include links and indicate which books go to the respective categories). I realize it is the last day of the challenge, but I want to be as fair as possible, so I am extending the challenge deadline FOR EVERYONE by 24 hours. The new deadline is Midnight, January 1, 2019 (Pacific Standard Time). If you have any questions, send me an email at the above address and I'll try to respond as quickly as possible (please keep in mind that I'm on Central European Standard Time). Also, remember to include contact information in your wrap-up if it's not already on your blog. If you have a Goodreads Account, I can contact you that was also. I will notify the winner before publicly posting their name, and you won't win if I can't contact you! And I am so impressed with how many people have completed the challenge -- nearly 50 people so far (the most ever!) and almost everyone completed all 12 categories! Best of luck and thanks again to everyone for participating! 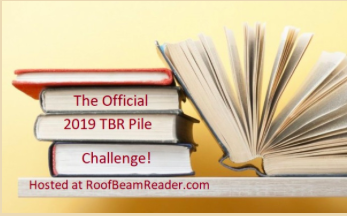 I'm so happy that Adam from Roof Beam Reader is hosting another TBR Pile Challenge! It's my favorite book-blogging challenge (next to my own). I love it because it really inspires me to read books from my own shelves, which I am woefully bad at. Only about half of my 2018 books were from my own shelves -- better than past years, but not nearly as many as I would like. However, I have a bit of a conundrum -- I've made up two potential lists, and I'm torn between the two. One is all Virago Modern Classics (e.g., mostly out-of-print, mid-century women writers); the other is non-fiction, a mix of history, memoirs, and biographies. Bloggers, which one should I choose? I realize there are 13 on this list, so one has to go. But which one? And I suppose I could just compromise and pick six from each list! Bloggers, have you read any of these? Good choices or bad -- I have until January 15 to amend my list, so I'd love your input. And are you signing up for the TBR Pile Challenge? I'd love to see your lists! 1. 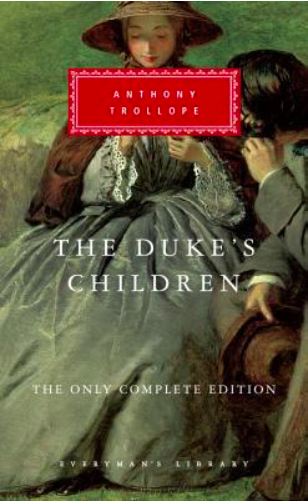 19th Century Classic: Nina Balatka and Linda Tressel by Anthony Trollope. Completed 5/3/18. 2. 20th Century Classic: The Jewel in the Crown by Paul Scott. Completed 5/2/18. 3. Classic by a Woman: Pomfret Towers by Angela Thirkell. Completed 7/21/18. 4. 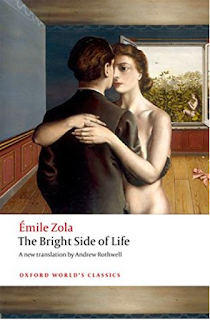 Classic in Translation: A Love Episode by Emile Zola. Completed 4/26/18. 5. 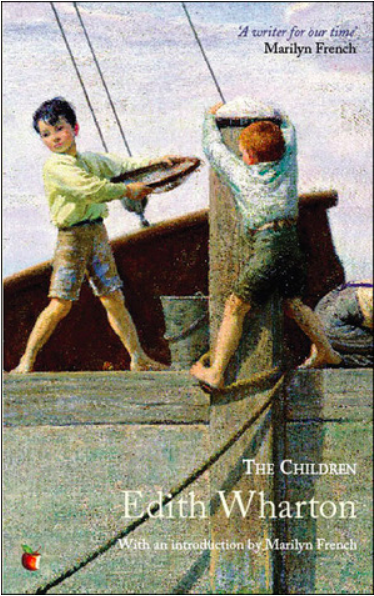 Children's Classic: Anne of Avonlea by L. M. Montgomery. Completed 1/15/18. 6. Classic Crime: Gaudy Night by Dorothy L. Sayers. Completed 12/25/18. 7. 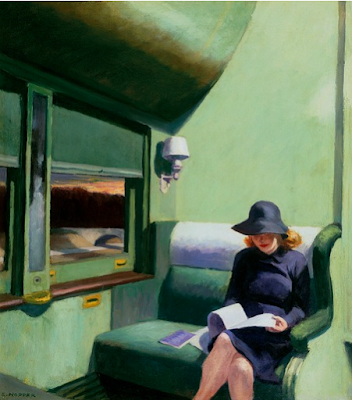 Classic Travel or Journey: Orient Express by Graham Greene. Completed 2/20/18. 8. Classic with a Single-Word Title: Peony by Pearl S. Buck. Completed 2/24/18. 9. Classic with a Color in the Title: Crome Yellow by Aldous Huxley. Completed 1/18/18. 10. Classic by a New-To-You Author: Effi Briest by Theodor Fontane. Completed 3/7/18. 11. Classic That Scares You: Jude the Obscure by Thomas Hardy. Completed 7/29/18. 12. 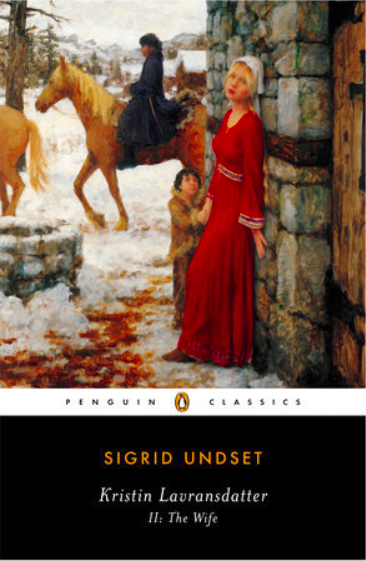 Favorite Classic Re-Read: Wives and Daughters by Elizabeth Gaskell. Completed 3/18/18. Of the twelve, ten were books from my own shelves, which is good, but eleven would have been better. I also read five by women and two in translation. I wish those numbers had been higher, but I'll work on that next year. Favorites: Pomfret Towers, Gaudy Night, and The Jewel in the Crown. And Wives and Daughters, naturally! Least favorite: There were a surprising amount of mediocre reads this year -- maybe because I chose a lot of lesser-known works (could that be the reason they're not so popular?) Probably Effi Briest which was just disappointing. I was actually enjoying Jude the Obscure until something really terrible happened in the story, I don't know if that would qualify it for least favorite but I'm really angry at Thomas Hardy about that plot twist! Anyway -- it's exciting to have finished, though I can't believe it took me so long! I'm really looking forward to starting my list in 2019. 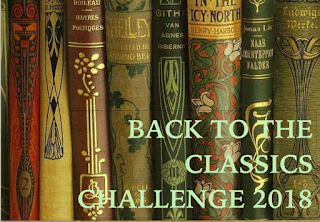 Have you finished the Back to the Classics Challenge this year? There are only a few days left to post your wrap-up! Once again, I have waited until the bitter end to post my final book for my very own challenge. You would have thought that a Classic Crime Novel would be an easy and fun book to read, most likely one of the first books crossed off the list. I thought so too. Originally, my plan was to read one of several British Library Crime Classics I have unread on my shelves, but I'm sorry to say I've read two so far (in 2017, so I couldn't count them for this year's challenge) and in both cases I was underwhelmed. I started two others this year and abandoned both of them. I also thought about counting The Mystery of Edwin Drood or Whisky Galore, but neither really felt as though they fit the category -- Drood is unfinished, so it's not exactly clear if a crime was committed; and Whisky Galore is really more of a gentle comedy -- OK, they're stealing whisky, but it wasn't exactly the crime caper of the year. I also read Four Days' Wonder by A. A. Milne, which starts out with the discovery of a dead body, but that was really more of a screwball comedy. 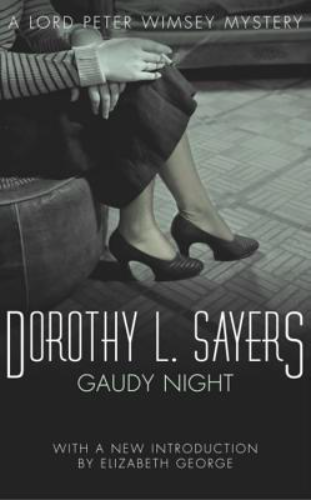 With less than a week left in my own challenge, and potential embarrassment looming, I gave up choosing from my own shelves and downloaded Dorothy Sayers' classic Gaudy Night from the library's online library. 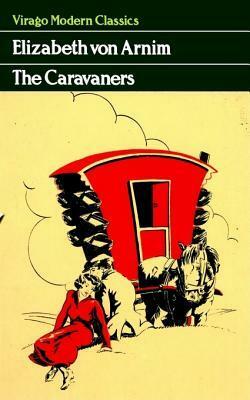 Published in 1935, it's considered by many to be Sayers' best novel. It's the twelfth in the Lord Peter Wimsey series and the third to include Harriet Vane, who is actually the main character in the story (Lord Peter doesn't even actually show up in person until the second half of the book). So. Harriet Vane, an alumnus of Shrewsbury College (a fictional women's college which is meant to be part of Oxford), receives an invitation to a reunion known as a Gaudy. On a whim, she accepts and after arrival, receives a nasty anonymous note stuck in the sleeve of her gown (back in the day all the students and instructors wore the black caps and gowns now traditionally worn only for graduation ceremonies). 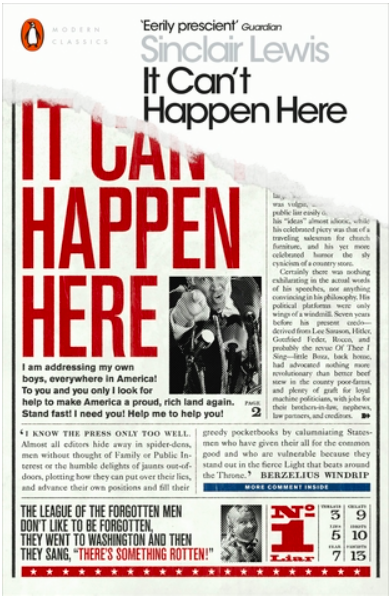 Having received poison pen letters in the past, she dismisses it and returns home. However, it turns out that someone at Shrewsbury is up to some mischief -- more notes and harassing letters are discovered, plus threats and destruction of property. The Dean of Shrewsbury is loath to contact the police, for fear of scandal, but she asks Harriet to return and quietly solve the mystery. Harriet begins to suspect various instructors, students, and staff members before enlisting the help of Lord Peter to find the culprit. Normally I do try to read series books in order, but I'd heard this was Sayers' best novel and I really wanted to read more about Harriet Vane. (I know many people love Peter Wimsey but he's not my favorite detective of all time.) It was a good choice, though, because I really liked this novel. It's the fourth of the series that I've read so far, and the second with Harriet Vane. My previous Sayers read was Strong Poison, which introduces Harriet Vane as a murder suspect on trial for her life. Naturally Peter saves the day and falls in love with her. Harriet's character is hardly developed in that story, and I'd actually find it rather annoying that Peter was so smitten without even knowing her. In this one, she takes center stage, and there's a lot more about women's education and the role of women, both in and out of academia. 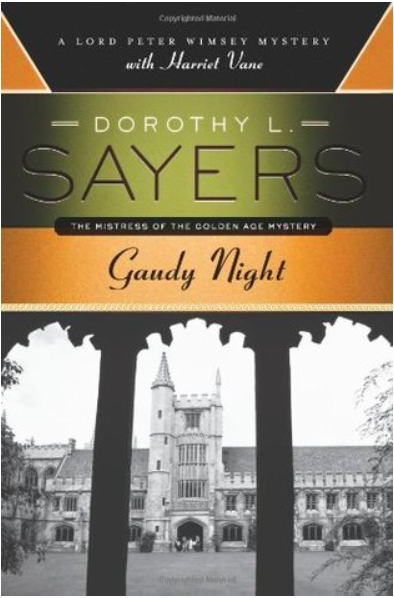 We learn a lot more about the attitudes of both men and women towards the rights of women, which I'm sure Sayers experienced first-hand when she was an Oxford student about the same time as her fictional counterpart. (We also get some insights about being a successful author which I particularly enjoyed). The reader does get more information about Peter and Harriet's relationship, which I admit was one of my favorite parts of the book. I did find the book a bit dense in parts when the academic characters are discussing philosophical points that I found a bit dry and obscure, and I had a bit of trouble keeping some of the characters straight, especially the other academic instructors who mostly seemed to run together. I particularly enjoyed Lord Peter's nephew Gerald who was quite delightful. It was a fun light read for the holidays, and I do want to continue with the series, though I'm not sure if I need to go back and read the rest in order or I can just skip around (I've heard Busman's Honeymoon is another of Sayers' best novels). Bloggers, what do you think? Read in order or skip around? 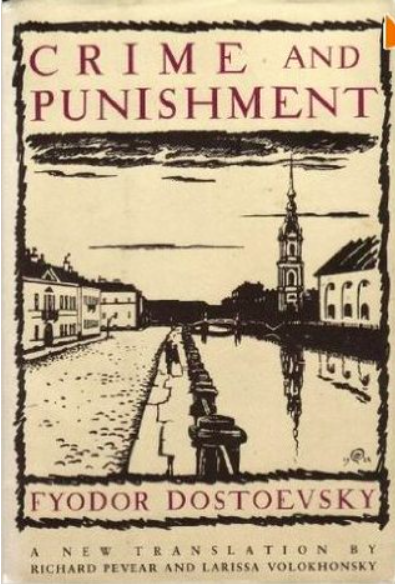 I'm counting this as my Classic Crime Novel for the Back to the Classics Challenge. I don't think I've ever completed my exact list for this challenge, but here goes! As usual, I'm trying to read as many books as possible from my own unread shelves. I'm also trying to read more female writers and books in translation. And six of these are from my second Classics Club List! 19th Century Classic: The Duke's Children by Anthony Trollope. There's a newly restored version that was recently published and I've been waiting almost two years to read it! I'm in an online Trollope discussion group and they're reading the entire Pallisers series in order. I've been holding off so I can participate. 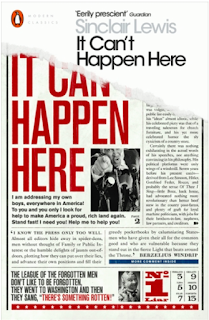 20th Century Classic: It Can't Happen Here by Sinclair Lewis. I'm trying to get this on the list for my real-life reading group, I think this would be great for discussion. Classic in Translation: The Bright Side of Life by Emile Zola. 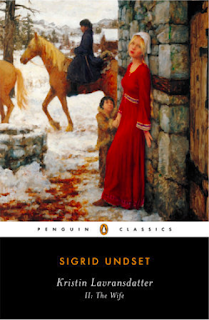 Or The Wife by Sigrid Undset, the second novel in her Kristin Lavransdattir trilogy. I read the first book for this challenge two years ago, and I've been meaning to read the rest of the series. Classic by a Woman Author: I have a LOT of Virago Modern Classics and Persephone Classics, so I'll probably choose one of those. I could also count The Wife for this category. Classic Comic Novel: The Caravaners by Elizabeth von Arnim. I always enjoy her books, and this one is supposed to be really funny. Classic Tragic Novel: Crime and Punishment by Fyodor Dostoevsky. You can't beat the Russians for a good tragedy! And I'm pretty sure La Debacle would qualify for this category also -- not many happy endings in Zola. Very Long Classic: Imperial Palace by Arnold Bennett (bought for $1 at a library sale! ), or Les Miserables. 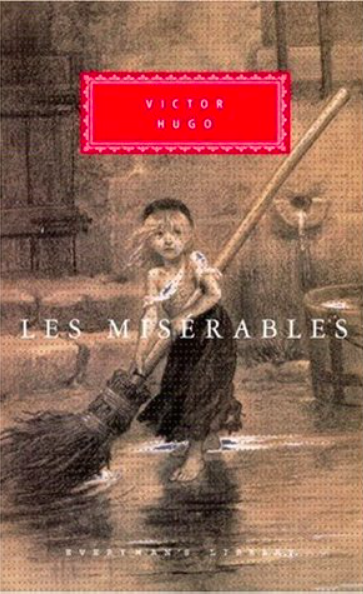 I finally got around to seeing the musical version of Les Mis; also, there's a new TV adaptation coming this winter. 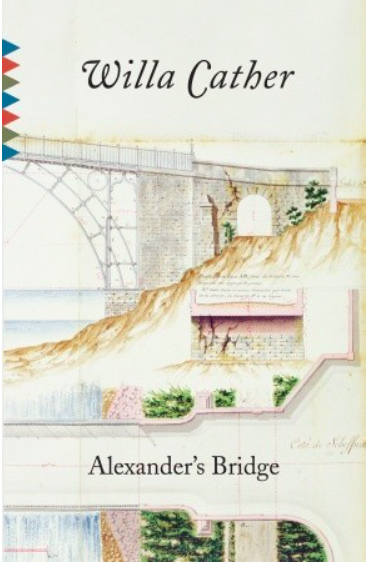 Classic Novella: Alexander's Bridge by Willa Cather. My last unread Cather, except for the short stories. Classic From the Americas: The Children by Edith Wharton, which I have owned forever and still haven't read. I could also count Sinclair Lewis for this category. Or maybe I should finally read One Hundred Years of Solitude. 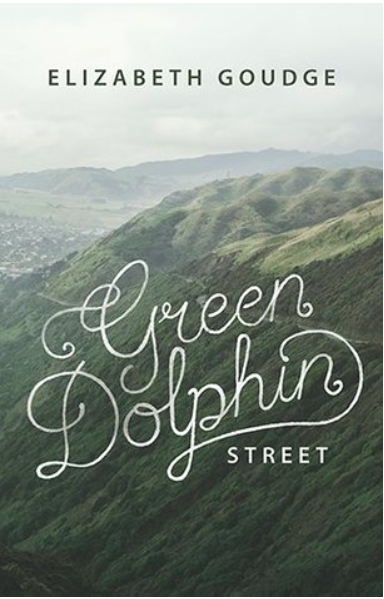 Classic From Africa/Asia/Oceania: I actually own two classic books from New Zealand -- Green Dolphin Street by Elizabeth Goudge, and The Godwits Fly, a Persephone classic, so I want to read one of those. 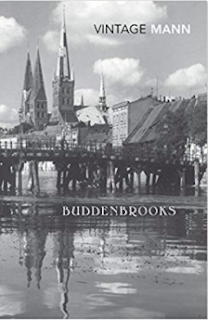 Classic Set in a Place I've Lived: I should probably read Buddenbrooks by Thomas Mann because it's a German classic -- but it's really long and I'm a little intimidated. If not, maybe Sister Carrie by Theodore Dreiser or So Big by Edna Ferber -- they're both set in Chicago and I lived there for ten years. Classic Play: I Am a Camera by John Van Druten. 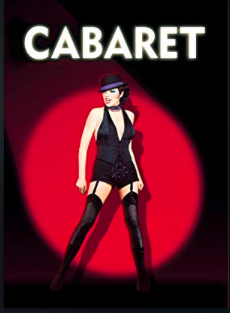 The English Theater company in Frankfurt is performing Cabaret this winter and I already have tickets to see it after Christmas (it's the musical version of I am a Camera). I've never seen it and can't decide if I should read the play first or wait until afterward. Bloggers, have you read any of these? Good choices or bad? Which one should I read first -- probably a short one, since I've just realized that a lot of these books are really long! And have you signed up for the Back to the Classics Challenge 2019 yet? Reminder: Only Two More Weeks for the Back to the Classics Challenge 2018! There are only two weeks left for the Back to the Classics Challenge 2018! Did you sign up for the challenge? Have you completed six or more books? There's still time to complete the challenge and qualify for the prize drawing by posting a short wrap-up and linking here. Only twenty people have completed the challenge so far, so odds are definitely in your favor! Reminder: read the directions CAREFULLY for your wrap-up, and include links to your original posts and contact information so I can notify you if you win! So far only 12 people have linked to wrap-up posts so odds are in your favor! You have until midnight, December 31 (PST) to post. What are you waiting for? Books still life, unknown artist. Spanish, 1620-1640. It's back! 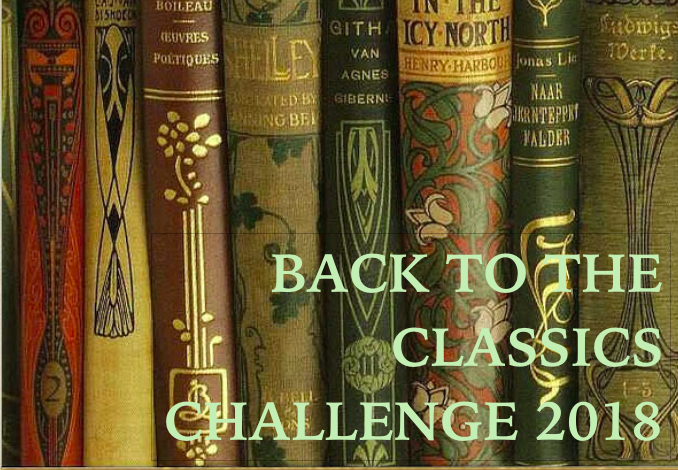 After much deliberation, I've decided to continue to the Back to the Classics Challenge for the sixth year! I hope to encourage readers and bloggers to tackle all the classic books we've never gotten around to reading. And at the end, one lucky winner will receive a $30 (US) gift of books from Amazon.com or The Book Depository! The rules and the prize are the same as last year, but I think I've come up with some fun new categories. 9. Classic From the Americas (includes the Caribbean). Includes classics set in either North or South America or the Caribbean, or by an author originally from one of those countries. Examples include Their Eyes Were Watching God by Zora Neale Hurston (United States); Wide Sargasso Sea by Jean Rhys (Jamaica); or One Hundred Years of Solitude by Gabriel Garcia Marquez (Columbia/South America). 11. Classic From a Place You've Lived. Read locally! Any classic set in a city, county, state or country in which you've lived, or by a local author. Choices for me might include Giant by Edna Ferber (Texas); Sister Carrie by Theodore Dreiser (Chicago); and Buddenbrooks by Thomas Mann (Germany). All books must be read during read from January 1 through December 31, 2019. Books started before January 1 do not qualify. All reviews must be linked to this challenge by 11:59 p.m. on December 31, 2019. I will post links the first week of January for each category which will be featured on a sidebar of this blog for convenience through the entire year. (The link for the final wrap-up will be posted towards the end of the year, to avoid confusion). The deadline to sign up for the challenge is March 1, 2019. After that, I'll close the link and you'll have to wait until 2020 for the next year's challenge. Please include a link to your actual sign-up post, not your blog URL/home page. Make sure you sign up in the Linky below, not the comments section. If I do not see your name in the sign-ups, you are not eligible. If you've made a mistake with your link, just add a new one and let me know in the comments. It's no trouble for me to delete an incorrect link. Books may NOT cross over within this challenge -- that is, you may not count the same book multiple times within this challenge. You MUST read a different book for each category in this challenge, or it doesn't count. 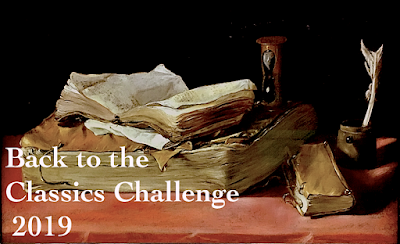 Participants must post a wrap-up and link it to the challenge, and it must include links to all the books they've read for this challenge, specifying which books for each challenge. If I cannot confirm which books you've read for each challenge, I will not enter your name into the drawing. It is fine to rearrange books for the challenge, since many books can fit multiple categories -- just let me know in the final wrap-up! The wrap-up post MUST include contact information so that I can contact the winner privately before announcing the winner on this blog. If your blog doesn't have a link, or if you have a Goodreads account, let me know in the comments of wrap-up post. If I cannot contact you, I cannot award you the prize! The winner will be announced on this blog the first week of January, 2020. All qualifying participants will receive one or more entries, depending upon the number of categories they complete as stated above. One winner will be randomly selected from all qualifying entries. I will contact the winner privately and award the prize before posting on the blog. The winner will receive a gift certificate in the amount of $30 (US) from Amazon.com (US) OR $30 in books from The Book Depository. Winners must live in a country that receives shipment from one of these online retailers. To check if your country receives deliveries from The Book Depository, click here. Can I read e-books and audiobooks for the challenge! Absolutely! E-books and audiobooks are acceptable! Can I count this book toward another challenge? Yes, definitely! As long as it's another blog, that's fine. You just can't count one book for two categories in this challenge. Can I read more than one book by the same author! Can I read more than one book for each category? Well, yes and no. Many books can fit more than one category, so for example if you wanted to read only books by women authors, or books in translation, that would work, as long as they fit the criteria for that category, i.e., 20th century or comedy. But if you want three entries in the final drawing, you have to have one book for each category, not just repeat categories. Of course, you are NOT required to completed all 12 to qualify -- you just get less entries. Children's classics are acceptable, but no more than three total for the challenge! And please, no picture books. What about short stories and poetry? Single short stories and short poetry collections do not count, but you may use full-length narrative poems (like The Odyssey) and short story collections such as The Canterbury Tales, as long as you read the entire book. Can I change the books from my original list on my sign-up post? 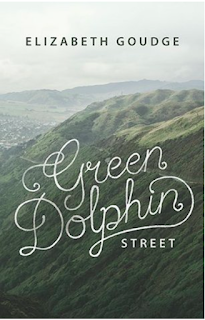 What if a book counts for two different categories -- can I change it later? Yes! And you do NOT have to list all the books you intend to read in your sign-up post, but it's more fun if you do! You may certainly rearrange or change the books for this challenge, as long as you indicate it on your final wrap-up post. Not at all! Books may be read in any order. If you do NOT have a blog and wish to enter, you need to link to individual reviews on a publicly accessible site like Goodreads. You can specify which categories in the comments section of the link to the Final Wrap-Up Post, or within each review. Do not simply link to your Goodreads account. So what are you waiting for? Sign up in the Linky below! I'll be posting my tentative list of reads for the 2019 challenge in the next few days. I can't wait to see what everyone else will be reading!